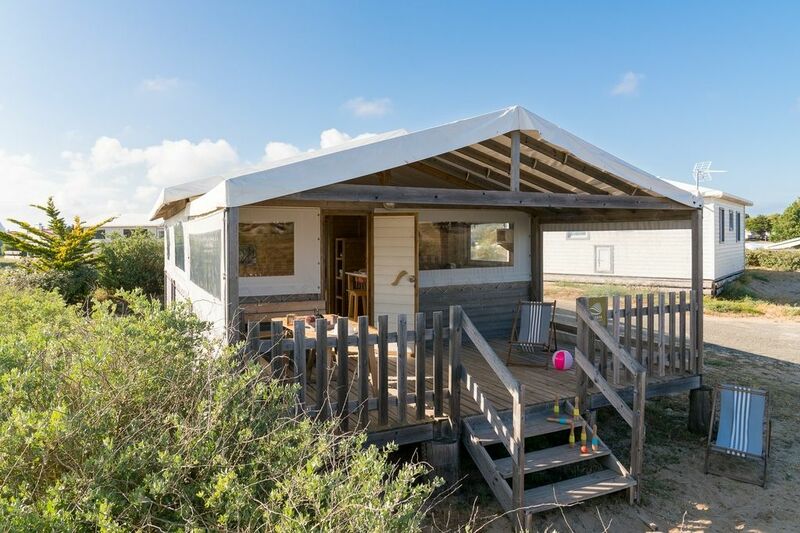 Set in an oasis of greenery, beneath the maritime pine trees, your lodge with all the mod cons awaits you at the camping Domaine Le Midi! The ideal option for 4 people on holiday on the island of Noirmoutier, your new home is made up of a shady terrace where you'll be able to enjoy some lovely breakfasts, a fully equipped kitchen, a living room with cosy bench seating and two bedrooms for children or adults. Come and see as soon as you can!